I seem to constantly march to a different drummer... and Sam's Club is a great deal whether I'm in step with everyone else (you know, those who have kids returning to school in January after some time off) or on my own wacky schedule and not having the kids really getting back to school until February. Sam's Club lets me buy groceries (hardworking young scholars appreciate being able to eat! ), school supplies, clothing, or computers... most everything you need to return to school, except maybe the motivation. Sam's Club also has some amazing General Mills brand products that have extra Box Tops -- Sam's Club's "6 Box Tops on a Pack" promotion. Even though I don't have kids attending school in my local district, I live near lots of children who do. And since we are a rural district, with a pretty small tax base, I know they really need and appreciate being able to take part in the Box Tops program. 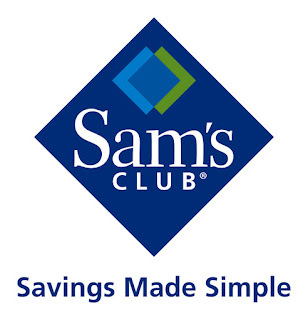 Disclosure: The Sam´s Club gift card, information, and giveaway have been provided by General Mills through MyBlogSpark. I'm excited to see Yoplait Yogurt. I'm entering on the rafflecopter with my FB username Mary Happymommy. Thanks. I'm most excited about Yoplait! My boys love Nature Valley Granola Bars :o). I'm glad the Yoplait Yogurt is participating. Yoplait - it's my favorite yogurt. I look forward to seeing Yoplait Yogurt. I am excited to see Cheerios. Excited to see Chex cereal. Multigrain Cheerios! We love them! i love the oat & honey! I love that it will be on Yoplait!! We eat yogurt like crazy around here. It's a toss up between Yoplait and Nature Valley Granola Bars. We consume our fair share of both! Definitely the Yoplait. I cannot buy enough for my kids. Here is my Twitter post. Chex Mix for sure! One of my family faves! Cheerios! Thanks for the chance to win! Love Nature Valley granola bars, especially the sweet and salty almond!! my family love yoplait yogurt! Thanks for a super giveaway! We don't eat much yogurt, but I'm sure we'd eat a lot of Chex. All those office supplies, like the Avery binders. I always seem to need new binders! We use Sam's a LOT! We go there at least twice a week. I buy my yoplait yogurt there!